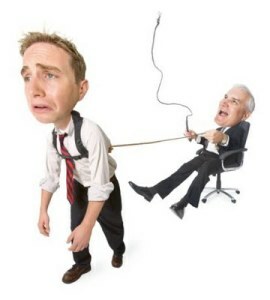 Purchasing Training ~ Are You Managing Your Manager? You’ve heard me say it before. All of us in this profession landed in this profession, and we report to someone who landed in purchasing by accident, and eventually, purchasing reports into someone who doesn’t understand purchasing. If this was the recipe for a cake, even death row prisoners wouldn’t eat it. It’s not all doom and despair though. It just means purchasing is the easiest profession of all to become a hero in. The problem is that sometimes your boss gets in the way. More specifically though, I would say that you LET your boss get in the way. You have to manage your manager, more so in this profession than any other. I’m going to do a multi-part blog series on this. This first one is focused on recognition of savings. My motivation for this topic is that I meet hundreds of buyers every year who tell me their boss doesn’t recognize indirect/soft or avoidance savings – just direct savings only. By going through this thought process, you are pointing out that reporting indirect and avoidance savings is not really a shift away from current practice, but actually rather a shift *towards* current practice of best value supplier selections. The logic above is pretty hard to argue with. Now, if your manager still disagrees, then what you need to do is start tracking and reporting this information anyways. Forget the fact that your manager isn’t rolling it up, you still need to do your job. Eventually, the tide WILL change on all of this. And when it does, you will have a mountain of trend data to show your total cost value add, while all of your peers will just be getting started on theirs. By the time they figured it out, it was already too late. Don’t let that happen to you. Next time we will talk about managing your manager with respect with how they use your time as a procurement professional. Previous post: Purchasing Training – Are You Tracking Market Prices for What You Purchase? Next post: Purchasing Training ~ How Big is Your Negotiation Advantage?